When we hiked in the Grand Canyon last weekend, as we came up the Bright Angel Trail the closer we got to the top, the more people there were. It made us think about how the most popular National Parks, like the Grand Canyon (south rim), Yellowstone and Yosemite are almost being “loved to death”. Whereas these parks are there to preserve the amazing outdoors, in each of them you will find it is hard to escape the crowds, and the noise and traffic. It always amazes us how people visiting these great places so often seem to have a total disregard for nature – hiking off trails, climbing where they shouldn’t just to pose for a selfie, flying drones even where they are prohibited, carving their names in tree trunks, leaving trash … It is hard to watch. We prefer to seek out the quieter places in these parks, or better yet, visit the less frequented National Parks and National Park Units. There is a great article recently published by Travel and Leisure that lists the 15 least visited National Parks. We’re fortunate to have visited many of these – Lassen Volcanic, American Samoa, Virgin Islands, Voyageurs, Dry Tortugas – but one of these (#12 on their list) is one of our favorites. That’s Great Basin National Park in Nevada. You can find Great Basin National Park on the map, a few hundred miles north of Las Vegas along the eastern border of Nevada and Utah. It is about a 4 1/2 hour drive from Las Vegas, just under 4 hours from Salt Lake City and about 3 hours from St. George Utah (that’s near Zion National Park). You have to want to go there, but it is well worth the detour. What is Great Basin National Park? 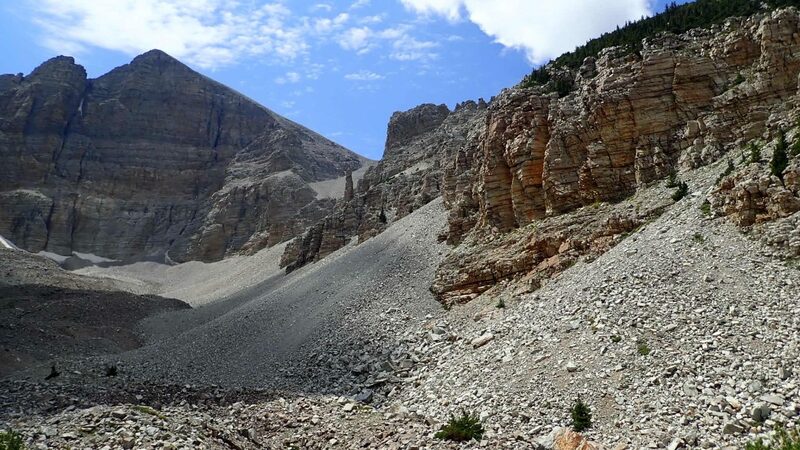 Great Basin National Park offers visitors a variety of experiences. With elevations ranging from 5,000 to 13,000 feet, you will see everything from desert to snow-capped Wheeler Peak. If you have only visited Las Vegas, Nevada, you may not realize that Nevada actually is quite mountainous. Wheeler Peak is the second highest peak in Nevada, topping out at 13,064 feet. It even boasts the remains of a glacier and you can see evidence of the glacial melt on the slopes and in the canyons and streams. 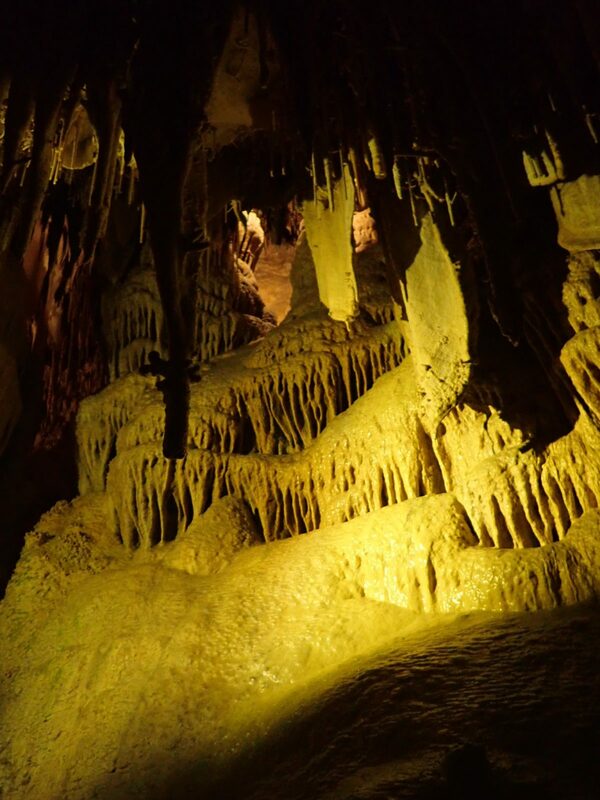 Great Basin National Park is also home to Lehman Caves. 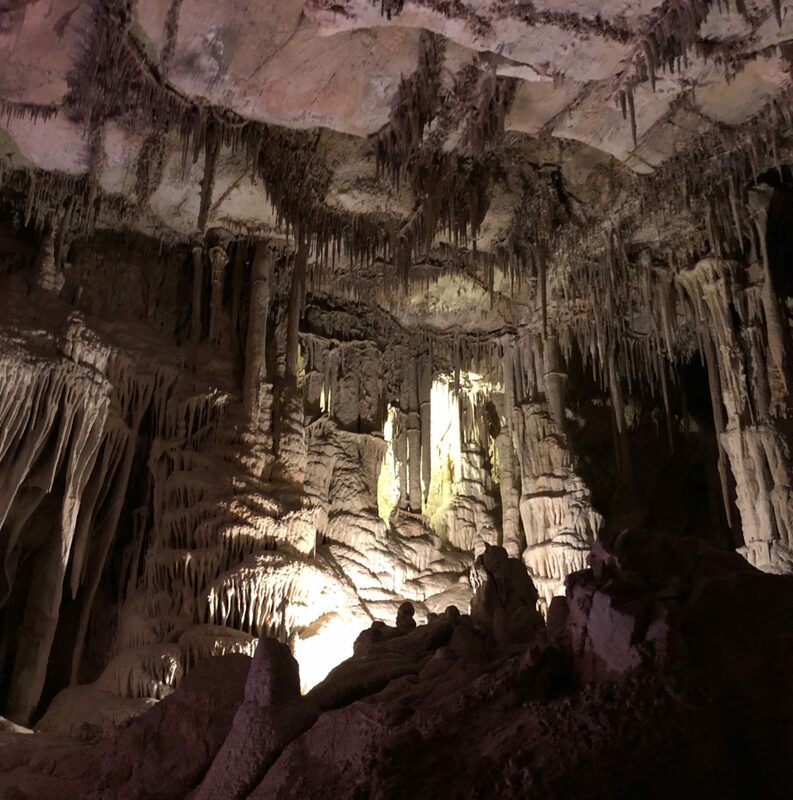 In fact, it was originally established in 1922 as Lehman Caves National Monument; only to be redesignated as Great Basin National Park in 1986. 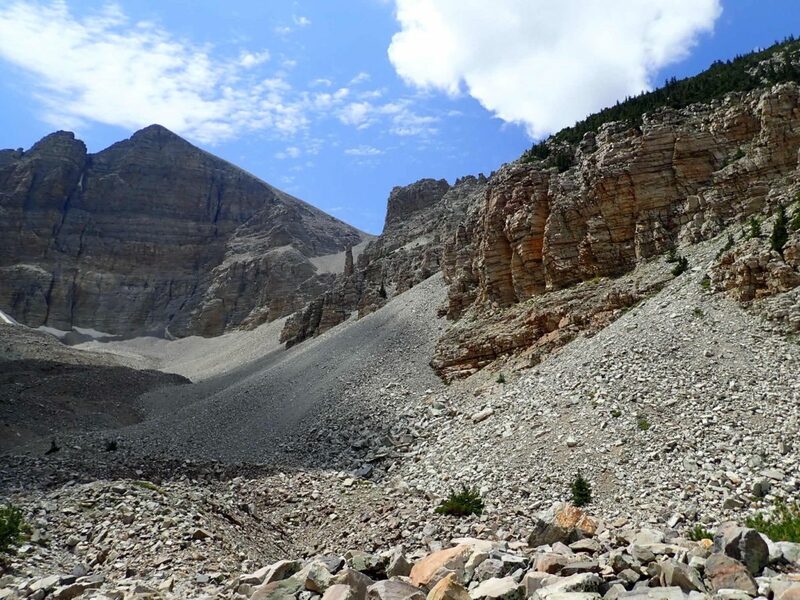 What is there to do at Great Basin National Park? As always, begin with the visitor center. Here there are two visitor centers. The Great Basin visitor center is outside of the park, just north of the town of Baker. A half mile inside the National Park is the Lehman Caves visitor center. Both have information, exhibits and a theatre. You should plan to visit both of them. They are very different. You will need to go to the Lehman Caves visitor center if you want to go down into the caves. That’s where all the cave tours begin. If you visit off season, you should be able to sign up for a guided tour when you arrive, but if you are visiting during the busy season you should make an advance reservation. To protect the bats, be sure to bring shoes and wear clothes that have not been in any other cave. All of the cave tours are ranger-led and limited to relatively small groups. As always, the rangers are extremely interesting and informative. Not only do they explain the geology, they also throw in some fun stories. We liked hearing about how people used to play music on the cave formations. It’s a really good tour and well worth your time. Bring a jacket. No matter the temperature outside, the caves remain cool all year long - about 50 degrees Fahrenheit or 10 degrees Celsius. On a hot summer day, this will feel downright cold! A nice way to experience the park is the Wheeler Peak Scenic Drive. (Oversize vehicles are not allowed.) This winding mountain road takes you all the way up to Wheeler Peak Overlook, where you can catch a glimpse of the glacier. There are five developed campgrounds at Great Basin National Park, as well as rustic walk-in campsites for hikers. Only one of the developed campgrounds accepts reservations; the others are first-come, first-served so be sure to arrive early in season. There are no hook-ups. Only one campground is open year round. Which campground you choose will depend on the weather and whether you want to drive up a winding mountain road. Our favorite campground is Wheeler Peak Campground – high up in the mountain! There were tons of deer and great star gazing. There are also a number of campgrounds outside of Great Basin National Park – a bit of a drive but very nice. We stayed at Cave Lake State Park. It has really nice campsites and a fishing lake! It was a perfect place for some R&R and it also looked to have some really nice hiking trails. We didn’t get out on them but we certainly plan to return there some day and explore! If you enjoy getting out on foot to explore, there are lots of hiking trails throughout the park, of all distances and levels of difficulty. 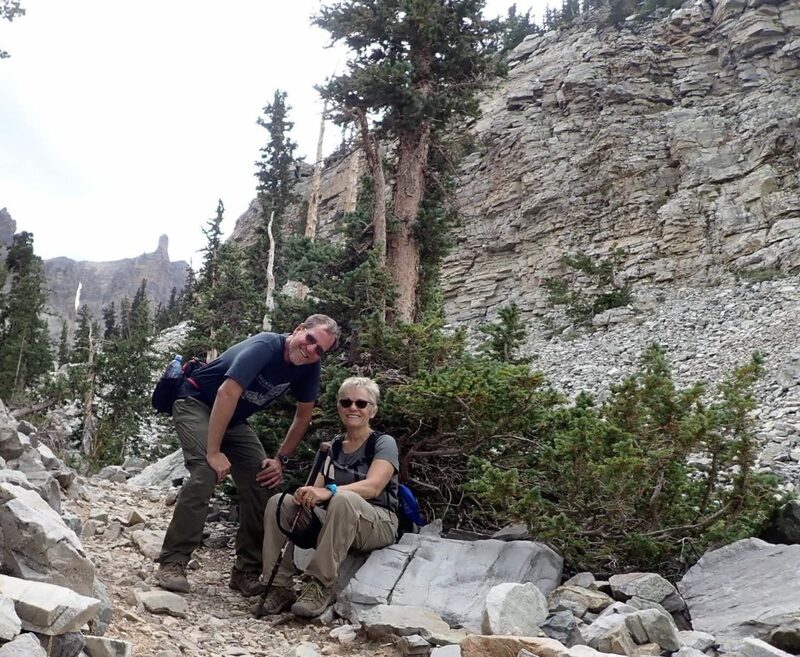 Our favorite was the Bristlecone / Glacier Trail, a 4.6 mile round trip hike with a little over 1,000 foot elevation gain, passing glacier fed lakes and ending at the base of the glacier. The trailhead is at the end of Wheeler Peak Scenic Drive. 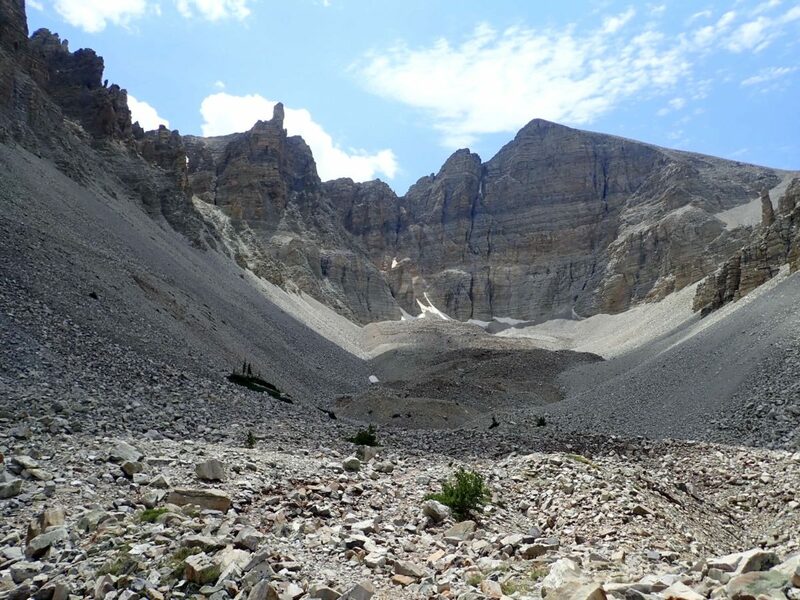 If you are camping at Wheeler Peak Campground, you can walk to it from your campsite. 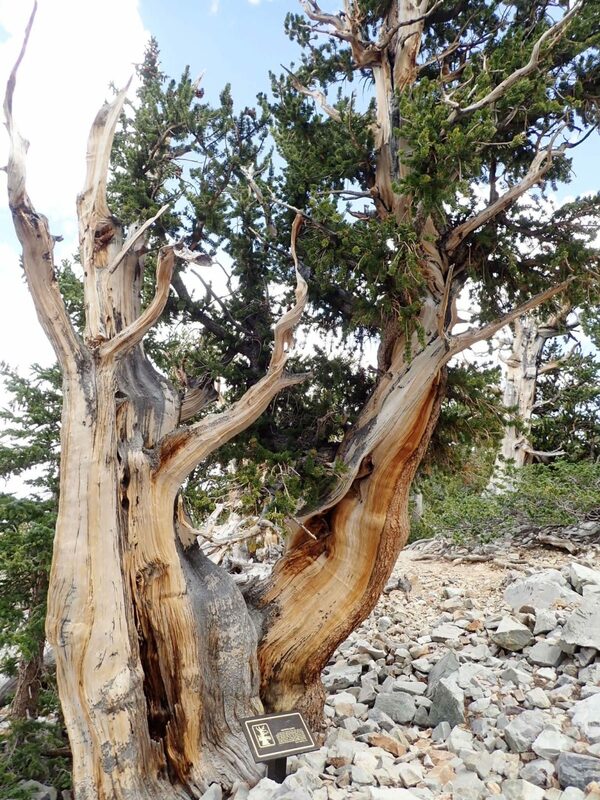 Our favorite part of the hike was the ancient bristlecone pine grove where you can see some of the oldest living trees on the planet – 4 to 5,000 years old. That means they were alive centuries before the birth of Christ.These gnarly trees live at high altitudes in the harshest of conditions. They almost look dead, but the way the tree survives is to basically wall off the dead part and funnel all their energy into the living part. It is only a 3 mile round trip to visit the trees and they have interpretive signs around the grove. Next time you are visiting Las Vegas, or if you are planning a trip to Zion National Park, think about including Great Basin National Park in your plans. It is a great way to get away from it all and really experience nature. You’ll be glad you did.